Fine. 1586633643 Ships from Tennessee, usually the same or next day. Very Good. 0451530918 Ships from Tennessee, usually the same or next day. Very Good. 1586633643 Ships from Tennessee, usually the same or next day. The reader did a great job of enriching the text with intonations and adding elements of drama, etc. I want the sender to pay for me to return this book to them. I want them to send me the full correct unabridged Jane Eyre. The sender can contact me for questions. I was not let down! Jane Eyre in all of its original splendor has been brought to readable classics. The original version has been adapted only to update the language to make it easier for the modern reader of today to understand. This classic beloved tale of the orphan Jane Eyre will captivate you and keep you reading until the end. 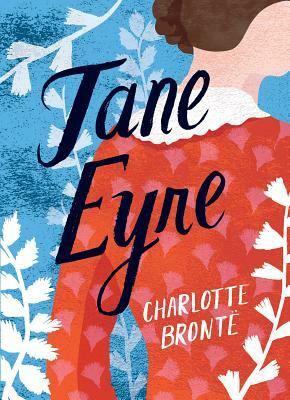 Jane Eyre, a orphan who is taken into custody by her uncle after her parents death, and ten years after his death sent away to school by her unloving, unkind aunt is everything the original manuscript is. Jane thrives and learns at school. She becomes a teacher and then a governess under her master Mr. Rochester and falls in love only to learn his shattering secret. Her life takes a turn and later reconnects to her past. She finds true happiness where she belongs. I loved every minute of this book. Though I have read Jane Eyre multiple times before, I was able to see this novel in a new light, due to the let down of a language barrier. Our vocabulary does not consist of the formalities in 1847. We do not converse on the same level, more so we discuss more freely and openly today. The novel in its new form is everything Charlotte Bronte gave to her 1847 readers, but updated for ease in understanding for today?s reader. This is a must read! I am a firm believer that you should read the original at some point in your life. However, if you have ever read Jane Eyre or if you have had trouble understanding the original this readable classic will draw you in and keep you spell bound to the end. I highly suggest this book to any reader. It is a wonderful classic novel. I look forward to reading and expanding my library to include other readable classics. The Readable Classic Jane Eyre was nothing less than a treat to read. Lightly editing the original manuscript so that it is an easier task for today?s reader, Wayne Josephson opens the door for a whole new generation of people to love this classic tale. Mr. Josephson has kept the story true to it?s roots while allowing a easier read for those who are not exactly comfortable with the normal Bronte style. The classic gothic novel Jane Eyre, a biography of the title character, is a chronological tale of heartache, hardship and love that can bare all things. A tale, full of sorrow and adversity follows Miss Eyre from an awkward and peculiar child, to an opinionated and strong young woman. The story begins when Jane is a small girl living with her aunt and cousins in Gateshead Hall. Orphaned as a baby, Jane has lived with her uncle?s family since infancy. Not long after Jane comes to live with them, her uncle dies, but not before making her aunt promise to keep Jane on as ?one of her own.? Her Aunt the menacing Mrs. Reed, despises Jane and her different nature, as she allows her children to torment the girl. It is not long before a painful confrontation with her cousin John, forces a small Jane to defend herself and earning a night in the infamous ?red room.? After that night it is not long that Mrs. Reed sends Jane off to boarding school, the dark and dreary Lowood school for girls, where the girls are forced to live off meager rations of food and hearty helpings of bible study. It is there where Jane makes her first friend, and in doing so feels for the first time in her young life the joy of acceptance. During her time at Lowood, she begins to grow from odd girl into a self-assured young woman. It is after being there for eight years, six as a student and two as a teacher, that she becomes restless and is ready to embark on her journey into the world. By placing an advertisement to procure a new position as a governess Jane is accepted into the grand estate of Thornfield. There she meets the mysterious Mr. Rochester, and in doing so, is swept away into one of the most famous love stories in literary history. The Readable Classic Jane Eyre is a story that will captivate your romantic soul. The light editing of Wayne Josephson has allowed the reader to focus on the beautiful tale of one Miss Jane Eyre instead of being tripped up by the sometimes difficult original text. Daughter had to read it for a summer reading project. She enjoyed it and went through it quickly.